Sierra-at-Tahoe’s 2014-15 passes come with a bonus for this season. 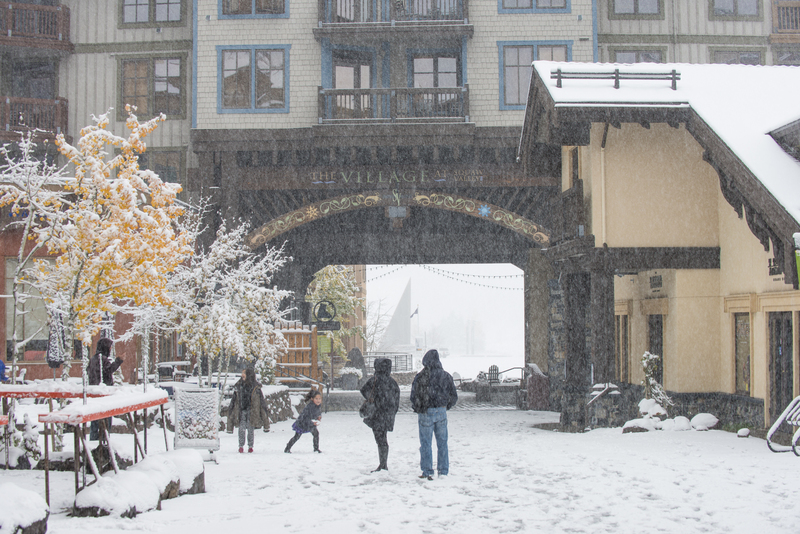 Home to 2,000 acres of skiable terrain, Sierra-at-Tahoe Resort has a deal for those who purchase a 2014-15 Keepin’ It Real Unlimited Season Pass: free skiing the rest of the 2014 season at the resort and also at Squaw Valley and Alpine Meadows. Sierra-at-Tahoe is offering the Keepin’ It Real Unlimited Season Pass for $289 through April 30. The price increases by up to $100 starting May 1 (earlier, if quantities run out). Along with free skiing and riding at Sierra-at-Tahoe, Squaw Valley and Alpine Meadows, passholders can enjoy free skiing/riding in much of the Western U.S. with The Powder Alliance. Those resorts include Angel Fire Resort, Arizona Snowbowl, Bridger Bowl, China Peak, Crested Butte, Mountain High, Mt. 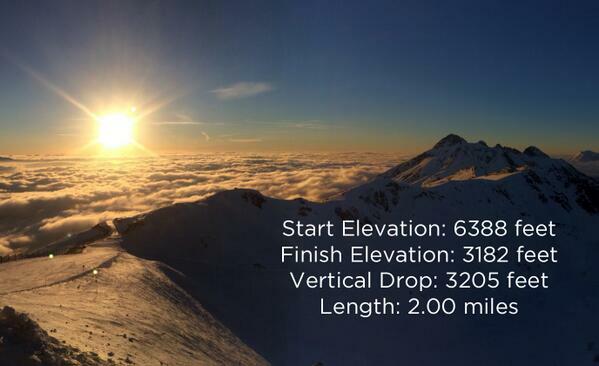 Hood Skibowl, Snowbasin, Schweitzer, Stevens Pass and Timberline. Season passholders will automatically be enrolled into a free membership that earns points toward free lessons, rentals, lunch and other bonuses. Sierra-at-Tahoe Resort has several new additions for the 2013-14 season that will offer guests an enhanced on-mountain and overall experience. Sierra-at-Tahoe has invested $4.5 million into a new facility located at the base of the mountain that transforms the current skier services area into a mecca for gathering and services that improve the overall skier/boarder experience. The new plaza will include 9,000 square feet of indoor space with retail options, a demo center, and new restaurant. Outside, guests will be able to enjoy a large deck area with fire pits, live music, and lounge chairs where guests can watch the action on the mountain, or reminisce about the day’s events. 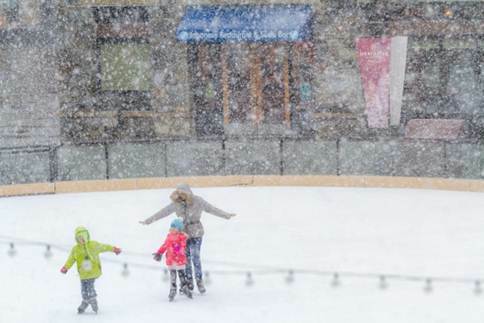 Building off of the success of Yoda’s Riglet Park, the Burton Star Wars Echo Base now offers a snowboarding program for kids ages 7-12. The new Burton Star Wars Echo Base gives kids 7-12 the opportunity to learn how to snowboard using terrain-based teaching, iconic Star Wars characters, and Burton Learn to Ride technology and techniques. Young snowboarders will get the chance to “defeat the dark side” and become Jedi knights by conquering their fears of sliding on snow. Kids will learn to snowboard in a one-of-a-kind environment unlike any other in the universe. Sierra-at-Tahoe has joined the Powder Alliance, which includes some of the greatest powder stashes in the West. Sierra Resort unlimited passholders will get free skiing and boarding benefits at 11 other mountains: Crested Butte, Snowbasin, Stevens Pass, Timberline, Schweitzer, China Peak, Mountain High, Arizona Snowbowl, Mt. Hood Skibowl, Angel Fire Resort, and Bridger Bowl. The membership applies to top-tier, anytime passes. Tickets are valid Sunday through Friday, non-holiday, and must be used during the 2013-14 season. Sierra Resort guests can visit www.sierraattahoe.com/powderalliance for a list of holiday dates and resort benefits. This spring, Sierra-at-Tahoe will host a foot-stomping, energetic music series featuring live music from top regional touring music acts. Produced by OnCourse Events and sponsored by Tahoe South, the music series will take place in the new base area plaza and feature bands that will play on three select weekends in the spring. The concerts will give guests a chance to enjoy live music, après, dance, and relax after a fun day on the mountain. Sierra-at-Tahoe boasts 480 inches of average annual snowfall, wind-protected slopes, incredible tree skiing, and 320 acres of backcountry terrain out the Huckleberry Gates. For beginner skiers and riders, Sierra Resort is home to the world’s only Burton Star Wars Experience, has more than 100 acres of dedicated terrain, four beginner-only conveyor lifts, a $45 adult beginner package, and PSIA-certified instructors. 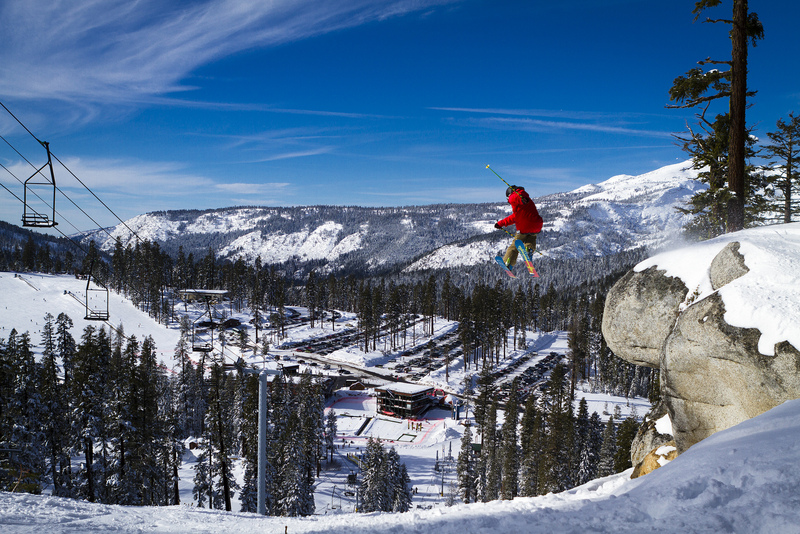 For freestylers, a commitment to innovative terrain parks has led to Sierra Resort being recognized by TransWorld SNOWboarding as a Top 10 Overall Resort as well as among the Top 10 Best Parks and Pipes in the nation. Sierra-at-Tahoe will give skiers and riders one last chance to shred during its annual Customer Appreciation Day on April 15 (a.k.a. “tax day”). Skiers and riders of all ages can purchase a lift ticket for $25. All proceeds raised from the day’s lift ticket sales will be donated to sponsor youth recreation and education, including baseball, soccer, swimming and other youth activities. Sierra Resort will operate a limited number of lifts from 10 a.m. to 2 p.m., including Grandview and Easy Rider. All guests are invited to join John Rice, the resort’s general manager, and the rest of Sierra Resort’s managing team for the official “last run of the season” from the top of Grandview Express beginning at 2 p.m. Last call at the Sierra Pub will be at 2:45 p.m., in time for the ending of all winter operations at 3 p.m. Passes for the 2013-14 season will be on sale that day. Prices: $279 for adults, $239 for ages 13-22 and college students (proof of six fall 2013 credits), and $109 for children ages 5-12 and seniors (70 and older). The Force is strong at Sierra-at-Tahoe for Younglings and Padawans this winter in Yoda’s Riglet Park at Wild Mountain Children’s Center. 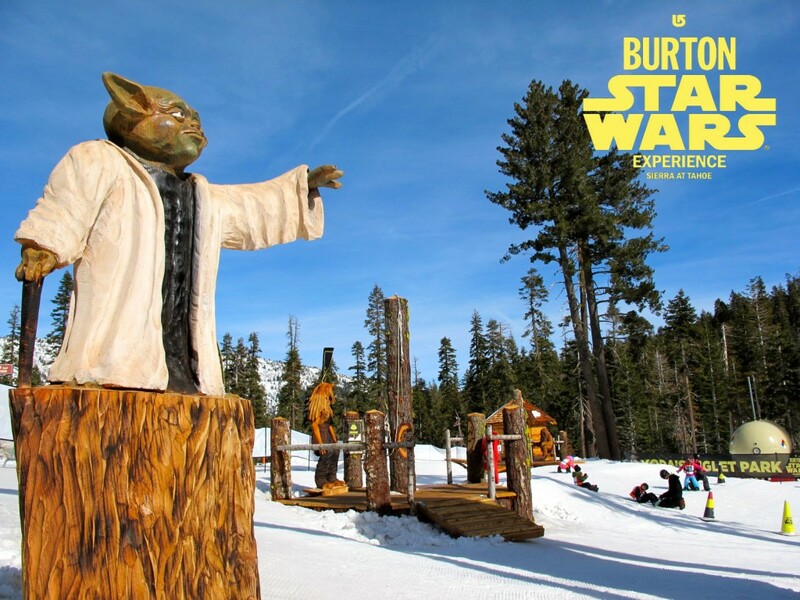 The Burton Star Wars Experience uses the beloved intergalactic saga to help children ages 3-6 make their first snowboard turns using Burton’s innovative Riglet Reel Technology. This singular on-mountain experience is filled with visuals from the Star Wars galaxy and combines Burton’s industry-leading technology with Jedi Master Yoda’s teaching methods – movement, navigation and control. Younglings and Padawans will learn using the ways of the Force through interactive drop in nodes showcasing custom-made wood carvings of R2-D2, C-3P0, Chewbacca and more. Availability is limited and may sell out on a daily basis; reservations are strongly recommended. For more information, call 530-543-3150.